Forget waiting days or even weeks to see a doctor! At Kennedy Way Surgery you can speak to and see a doctor the very SAME day – at a time that’s convenient to you, without waiting around endlessly and without having to go through a laborious triage system. to ALL of our patients. Just contact the surgery and ask to speak to the doctor of your choice. They will call you back, wherever you are within 2 hours - or at a time of your choosing if that suits better. If we can deal with your query over the phone, we will - (we don't want to waste your time!) 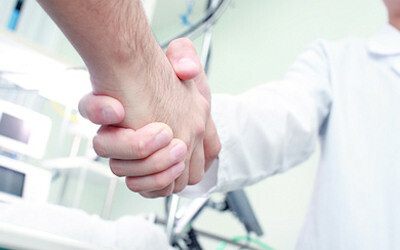 - but if you need a face to face appointment, we'll arrange that with you for that same day. And you never have to discuss your problems with our receptionists. Our doctors start seeing and speaking to patients at 7.30am in the morning and they work through lunch hours so you can deal with your healthcare needs without having to take time off work. We also offer web-bookable appointments and an Electronic Prescription Service to save you extra time. Of course, our practice offers all the specialist services you need from travel health and maternity care to Mirena Coils and contraceptive implants, medical examinations, immunisation, smoking cessation, blood tests, cardiograms, minor surgery and x-rays. We have specialist nurses dealing with asthma, diabetes and blood pressure throughout the week, work closely with district nurses, midwifes, health visitors & drug counsellors and we can even arrange counselling, physiotherapy and chiropractic services. It's all designed to make your life easier.